NASHVILLE — Tennessee has long been one of the few states without a long-range water strategy, but Gov. Bill Haslam wants that to change under a new statewide water availability plan released Tuesday. 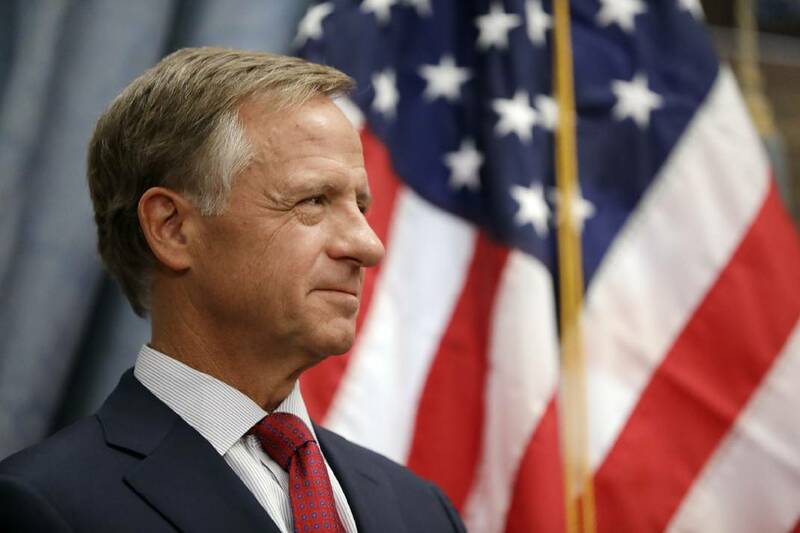 "Tennessee is blessed with great resources of water today, but we should never take that for granted," Haslam said in announcing the plan, dubbed TN H2O. "As our state grows, we must maintain our capacity to meet our water needs. "That takes a plan, and I am grateful for the amount of work that's gone into this issue," the governor added. The plan is basically a "road map" — a starting step, albeit a large one — and Haslam wants to put public feedback on it. It looks at areas ranging from economic development and recreation to population growth to agriculture, as well as looking at funding to improve water supply infrastructure. The plan was put together by local, state and federal officials, including from TVA, as well as teams of volunteer experts from universities, nonprofit groups including the Tennessee Aquarium in Chattanooga, and for-profit companies like the Tennessee American Water Co., which serves much of Hamilton County and the surrounding area. While the state is "blessed," as the governor put it, with abundant area from the Tennessee River and other rivers across most of the state, there are problems, especially in areas like the Cumberland Plateau, where a 2016 drought put strains on a number of communities in an area where vacation homes now proliferate. That was a factor in the decision to formulate a plan with areas south of booming Nashville, as well as some Middle Tennessee counties that are having issues. "The truth is there've been a couple of spot occasions where we have [problems]. But the reality is that ... it's a question of when, not if," said Haslam who leaves office Jan. 19. "And ask a lot of the states around us if they have an issue with water, and they'd say it's a key issue, a critical issue for us." Haslam said the "premise is we shouldn't take water for granted. If you have a water issue, it will drive almost everything else you do. We want to plan now to ensure our communities have access to that." Haslam's deputy, Jim Henry, and Tennessee Department of Environment and Conservation Commissioner Dr. Shari Meghreblian spearheaded the process. It makes recommendations in areas including addressing current and pending infrastructure needs, development of a comprehensive water resources planning process, encouraging greater collaboration and communication as well as identifying sustainable funding for all its recommendations. Other areas include evaluating existing plans to assess their implementation, and using the water-resources task force or advisory committees and regional water-resources jurisdictions to facilitate intrastate and interstate regional cooperation. Commissioner Meghreblian said "we don't necessarily have to do everything by law. We want to focus on public-private partnerships and how we can collaborate with our folks in the [nonprofit] NGO community and municipalities." "I think the main thing is there's not one idea or answer that's going to be a cookie cutter across the state, and probably not even in the Plateau areas" she said. She said one area where "we've seen some success in Tennessee and that we've also seen success in other states is sort of a regional approach. Right now you have a lot of small communities that have their own water, wastewater treatment. "And that can obviously be very expensive," the commissioner said. "So one particular option is for those communities to collaborate and pull their resources and do some sort of regional water planning." Haslam deputy Henry said "almost everything we do is riveted around having good, available supplies of water. Quite frankly, we haven't done that much around it" in the past. He noted water is a major issue in states like Georgia and Florida, which are battling each other in court. Georgia has also threatened to sue Tennessee to get access to the Tennessee River near Chattanooga. Georgia has based its claim on a faulty 19th Century survey that Georgia officials say wrongly gave Tennessee Georgia land in what is now the Nickajack Lake area in Marion County. Citing the dispute, Henry told the audience assembled at Haslam's news conference that "I want you to know that we stole those rights fair and square and we're going to keep 'em." The plan is available for viewing and commenting. It can be found through Feb. 28, 2019, at tn.gov/environment/tnh2o.